Roslyn Helper and Harriet Gillies are collectively known as Zin. 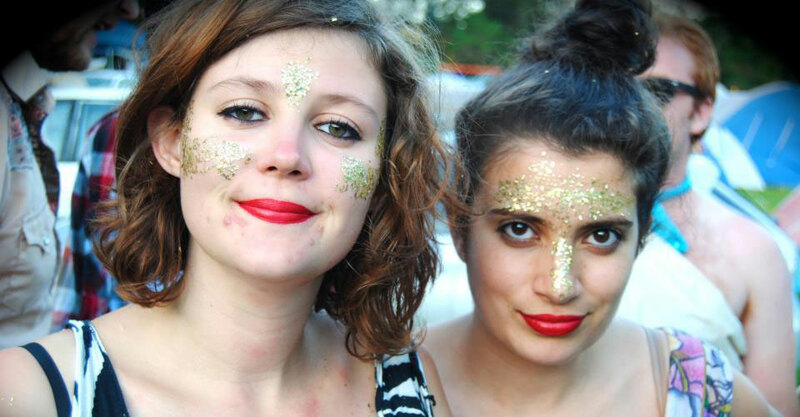 These two USYD alumnae are putting on Party Mode at the Underbelly Arts Festival. Get ready to party. It’s in that spirit of setting young people free to appreciate art however they choose that Harriet Gillies and fellow USYD graduate Roslyn Helper offer their contribution to Sydney’s Underbelly Arts Festival. Collectively known as Zin, the duo’s new performance artwork “Party Mode” promises to be an immersive interaction rather than relying on the viewer to just sit back and watch. Like literary pub crawls that are also, literally, pub crawls, the piece explores the serious business of modern politics and the surveillance state by putting on a rave, where everything from the decor to the drinks to interactions with fellow partygoers contributes to a uniquely immersive experience. Where so much depends on improvisation and audience engagement, there’s a certain amount of terror in the form, but also freedom. “My life began at SUDS,” Harriet recalls, “where I had the freedom to make mistakes and figure out what worked for me.” It was there that she met Zin’s other half Ros, and after directing together in SUDS the two embarked on a conceptual collaboration that’s taken aim at the way we communicate our public selves and the special circle of hell that is the white-collar office. But what’s most interesting about “Party Mode” is that audience interaction goes beyond the big night itself. Rather, the project’s weeklong workshopping in the festival’s public lab allowed the pair to roadtest their improv ideas and reflect on the process behind art itself. “Party Mode” promises to be an intriguing artistic experience, but Harriet insists that there’s no pressure on viewers to do any required reading or feel they’re not being sufficiently profound. “If nothing else, we just hope it’ll be a really awesome party.” Honi is already pre-drinking in anticipation.